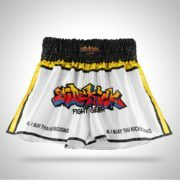 Take your training to the next level with these strong robust “FTR Line” Thai kick pads. 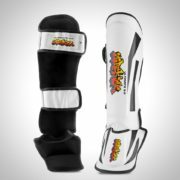 For both the fighter and coach working on their drills, these heavy duty curved kick pads give maximum durability for the fighter to give 100% precision in their strikes. 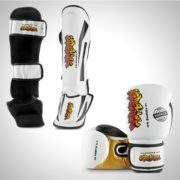 This blue and black design weighing 25 oz made from cowhide leather gives the best grip with but not one, but two arm straps and a solid handle to hold to resist the maximum power. Sold as a pair.